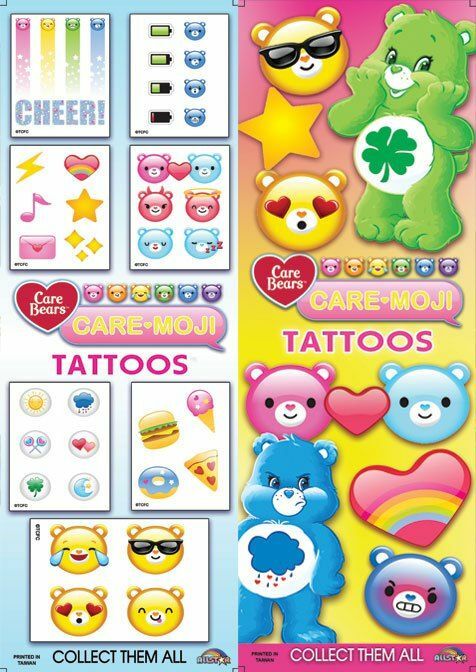 This is what happens when you mix 2 of the hottest items right now into 1 awesome tattoo collection, This mash up of Care Bears and Emoji are sure to empty your machines in no time! Featuring 15 never before seen tattoo's from the Care Bears new tv show on Netflix. Each case includes 300 tattoos pre-packed in ready-to-vend cardboard folders, enough to fill one column in our sticker vending machines.